Have you felt that you've been just a little too shy lately? Perhaps you've wound yourself up in stress or hidden yourself away from the bright colors of daylight? Well, we all go through that! That only makes your arrival more exciting! The thing that you have to decide is how you want to appear. There's bound to be that transformation, of course, so you should make sure it is flashy, colorful... something that's going to be widely seen and maybe even cause some gasps! 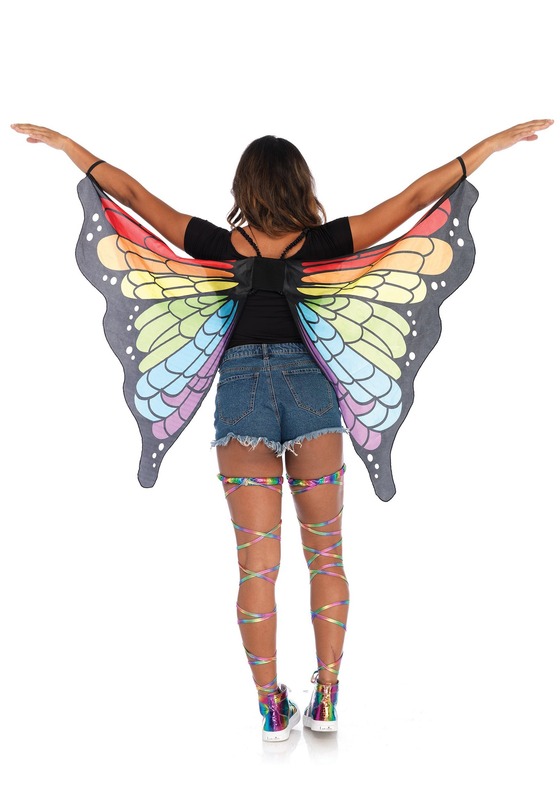 To ensure that your appearance from that cocoon is truly remarkable, be sure that you show up with these Rainbow Butterfly Wings. This translucent cape fits at your back and around your wrists with elastic bands and drapes down into two butterfly wings. 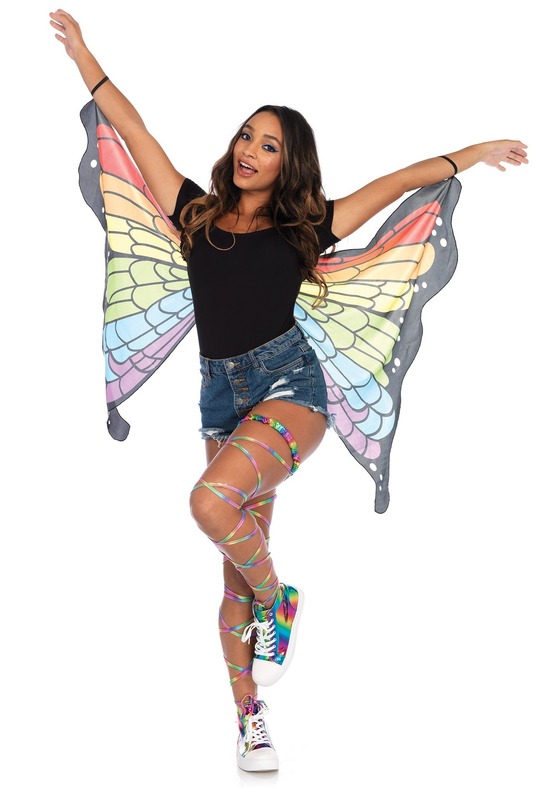 Each wing is symmetrically colored with a rainbow gradient from top to bottom that will have you looking and feeling truly magical. We tend to collectively accept that the monarch butterfly is among the most beautiful creatures out there. But, that's only because we haven't seen them with rainbow wings! Take the crown and become an Emperor butterfly with your new elegant rainbow wings.